Kicking off on Saturday 11th at Passeio Ribeirinho de Portimão at 2pm, this year's 3-day Rally takes an interesting and exciting route from Portimão through Monchique and Lagos. On Saturday night there will be a convoy on the ‘SuperEspecial’ through Lagos town centre Lagos and the rally continues on Sunday at Serra de Monchique. 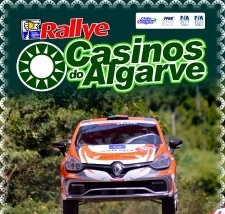 The rally finishes by Hotel Algarve Casino, at Praia da Rocha at approximately 1pm on the 13th. This is a highly competitive event and a must for rally car enthusiasts. For more information visit the website or call (+351) T. 289 422 145.